Dr. Pensa's interests include FOAM and social media and digital/tech applications in medical education. 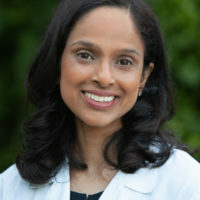 She is Associate Director of the Emergency Digital Health Initiative (EDHI) at Brown, editor and producer of Academic Emergency Medicine journal's Early Access podcast, and creator and faculty advisor for the Brown EM residency educational blog (www.brownemblog.com). She also runs a curated, FOAM-based digital EM curriculum called Asynchrony EM. She is happy to talk about all things digital/tech/social media in medicine, and how non-tech docs can get in on the fun! She also speaks on surviving and thriving after being sued, having won at trial and learned a lot in eleven years entangled in the system. She feels strongly that we don't talk about this important topic as openly and as often as we should!